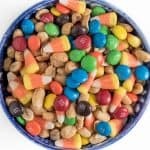 Candy corn snack mix is super simple to toss together but the flavor combination is unlike anything you’ve tasted! I’m not sure who shared this wonderful little snack mix with me, but it’s one of the things that we look forward to making all year long. Seasonal food does that for me – it’s the waiting game that makes them all the more delicious when it’s time to have them again. 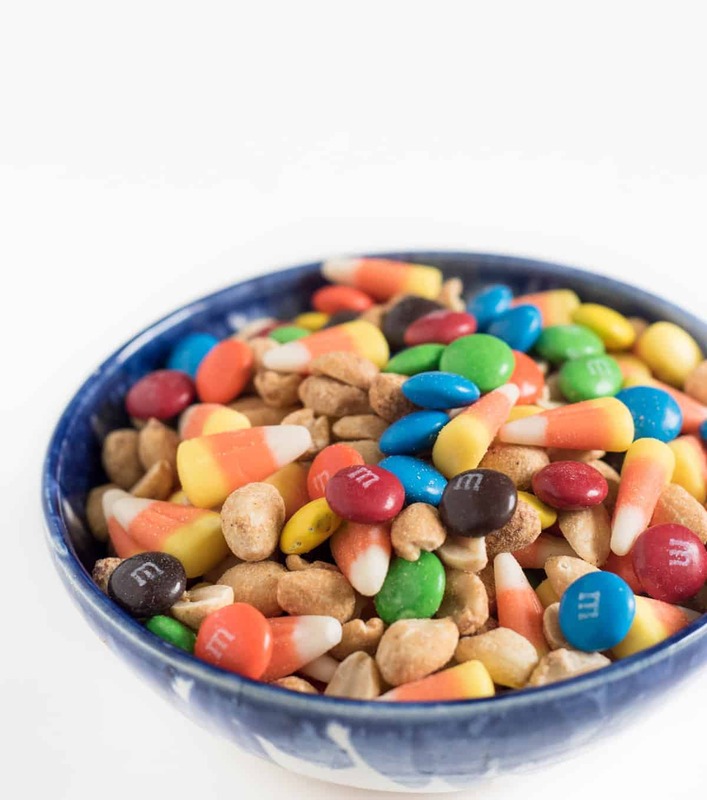 This candy corn snack mix isn’t much of a recipe but it’s something that we’ve been making for a few years now and every time we do, I feel obligated to tell the world about it. 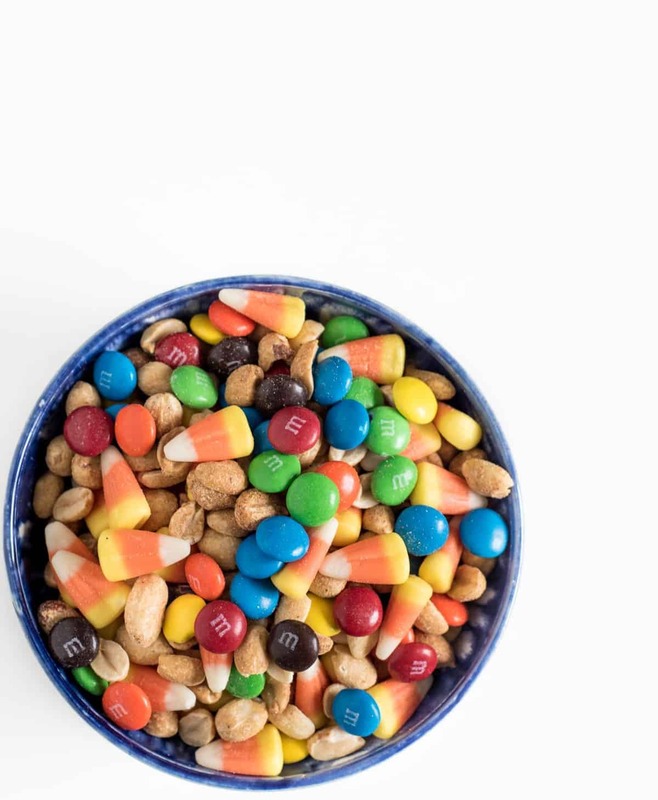 There’s all kind of fall snack mixes around but this one is super simple and the combination is my favorite. 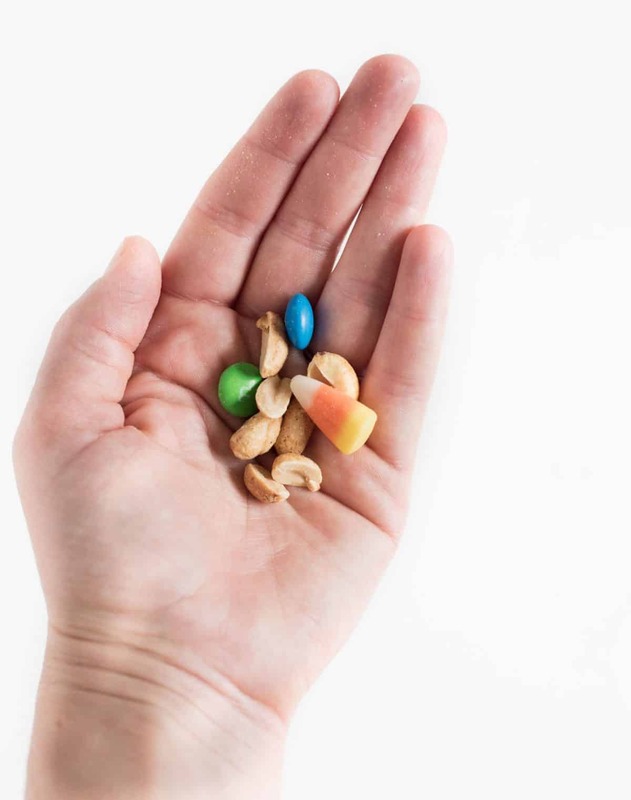 The secret is to eat a piece of candy corn, a few salted peanuts, and a few M&Ms together in one handful. It tastes like eating a candy bar! You lose some of the candy corn flavor with the peanuts and chocolate and it takes on more of a caramel/nougat flavor. I don’t know what it is but the combination is magic and I’m here to share it with you. Sweet, simple, and oh so good. You are going to make this treat over and over again. 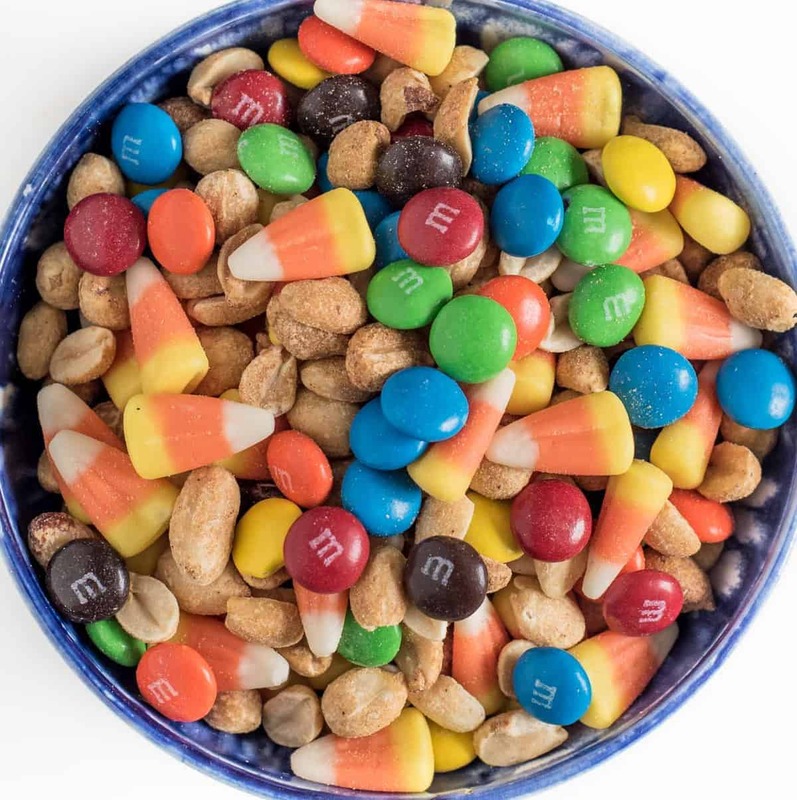 This is a fun candy corn snack mix to make for family movie nights, to put in your cute glass pumpkins for guests to take as they like, to have in those fun mini cauldrons to use for a preschool snack, party favor, or even place setting for a spooky dinner (use a paint pen to write your guest’s name on the outside of the cauldron). Roasted salted peanuts are a must. I accidentally bought unsalted peanuts for this once and it just wasn’t the same. Long live all things sweet and salty. Because this little snack mix is so simple and shelf-stable, it’s a great one to send in the mail to friends and family who might need a little fall cheer. 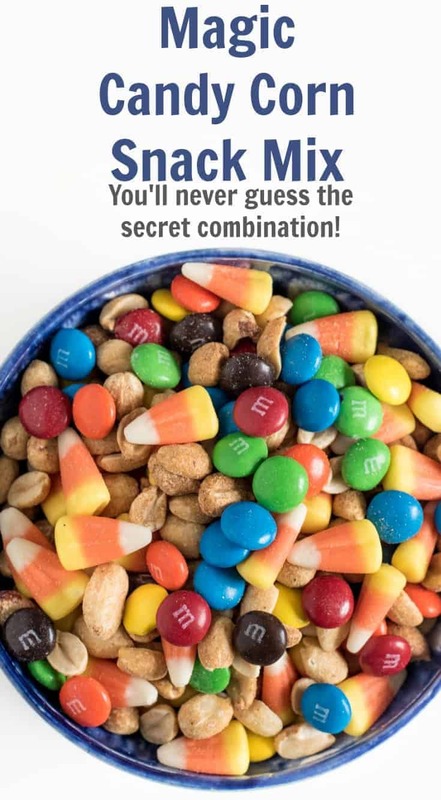 Eat this combination all in the same mouthful 4-5 peanuts, 1 candy corn, and 2 M&Ms together at the same time. It’s a magical combination! Toss everything in a bowl, give it a little stir, and enjoy! I like to eat 4-5 peanuts, 1 candy corn, and 2 M&Ms together at the same time. It’s a magical combination! Looking for other simple recipes to serve at a party this fall? 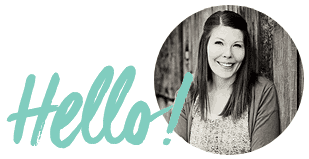 Here’s a few that I LOVE: caramel dip for apples (and great with crunchy pretzels, too), slow cooker teriyaki meatballs, homemade apple cider in the slow cooker, all the cheese balls, and pumpkin sheet cake! 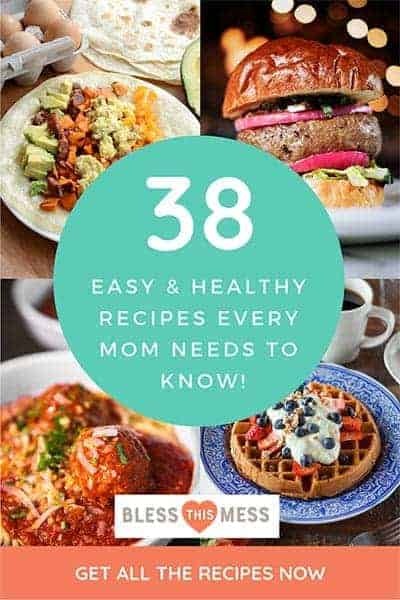 So many great, easy recipes to love. Enjoy and Happy Fall to you, my friends!